The Svalbard Global Seed Vault in the Arctic has flooded after permafrost melted. The famous vault, also known as “Arctic Doomsday Vault,” was designed as an impregnable deep-freeze to protect seeds from around the world in the event that a global disaster hits humanity. There are many types of seeds inside the vault, as scientists meant to ensure humanity’s food supply forever. However, the Global Seed Vault, which is located on a mountain deep inside the Arctic Circle, has been compromised after global warming produced high temperatures over the winter, flooding the entrance of the tunnel. The vault was built in one of Norway’s islands in the Arctic, known as the Island of Spitsbergen. The Global Seed Vault is home to almost a million packets of seeds, each one from a variety of an important food crop. The vault was open in 2008 and scientists promised that the thick permafrost through which the vault was sunk would provide “failsafe” protection against the challenge of natural or human-made disasters. Last year was the world’s hottest ever recorded year, and soaring temperatures in the Arctic led to melting and heavy rain when it was supposed to be snowing. Officials noted that the water did not reach the vault itself, fortunately. Since the incident, the ice has been hacked out, and the seeds remain safe for now, storage at a temperature of -18c. 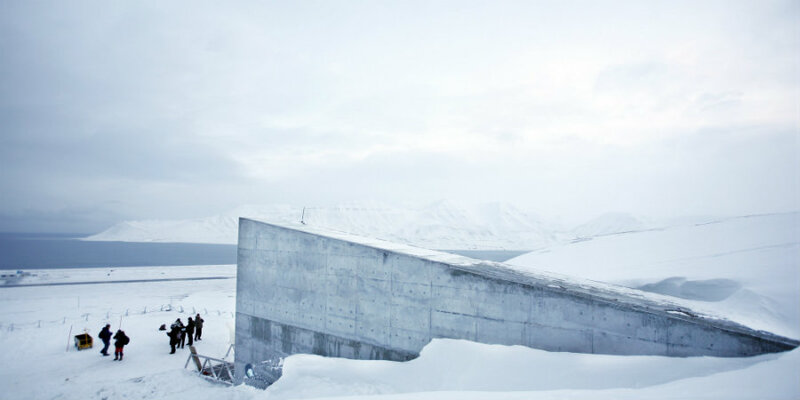 The breach has, however, questioned the ability of the Global Seed Vault to survive as a lifeline for humanity if a disaster occurs. Aschim noted that the vault was originally supposed to operate without the help of humans, but now they are watching the seed vault every hour of the day. She added that they must see what they can do to minimize all the risks and make sure the seed bank can take care of itself. The seed vault’s managers are now waiting to assess whether if the extreme heat of this winter was a one-time thing or if it will be repeated or exceeded as climate change and global warming continue to heat the planet. During the end of last year, temperatures stood over 7c above average on Spitsbergen, pushing the permafrost above the melting point. 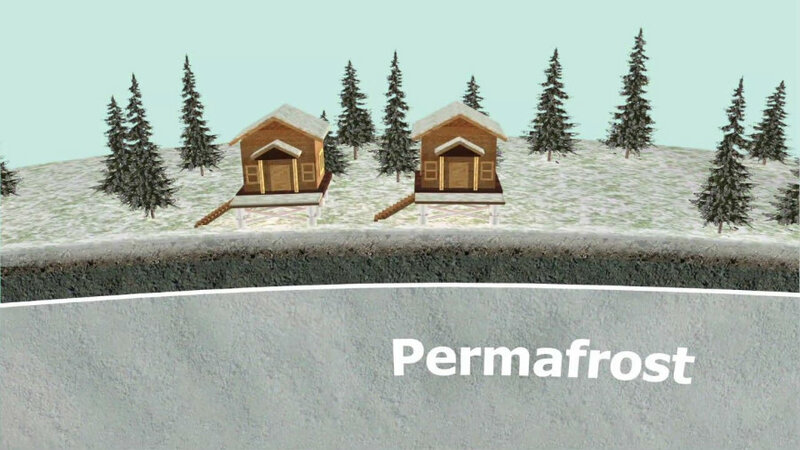 Permafrost is a frozen layer of Earth that is intended to be permanent, but it can be damaged in temperatures are high, or if humans dig into it and create ways for heat to enter. 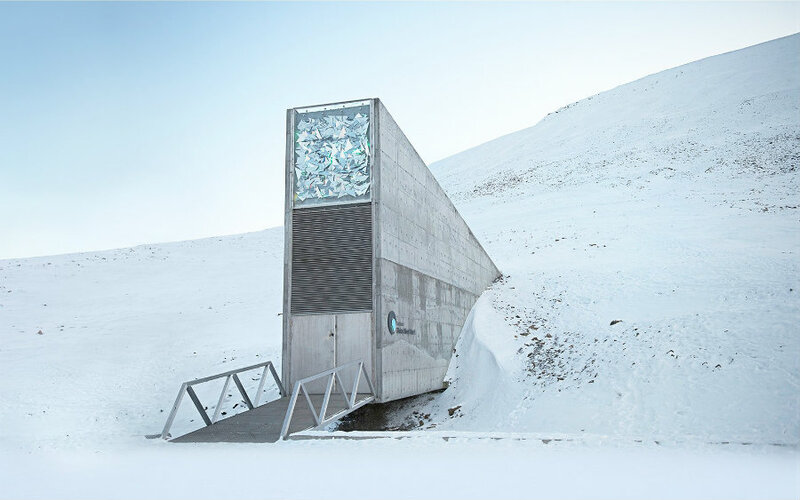 In the case of the Global Seed Vault, the area has been going through a record heat wave these past years, and the construction of the tunnel nine years ago dug into the permafrost and made it vulnerable. That combination means that near the entrance to the tunnel, where the soil is thinner, meltwater can make its way through. “The question is whether this is just happening now, or will it escalate?” said Aschim, according to The Guardian. According to Ketil Isaksen, from Norway’s Meteorological Institute, the Svalbard archipelago, of which Spitsbergen Island is a part, has warmed rapidly in recent decades due to climate change. The seed vault’s managers have begun taking precautions to guard the precious cargo on the vault. They plan to waterproof the 100-meter long tunnel into the mountain, as well as digging trenches into the mountainside to channel meltwater and rain away. The managers also removed electrical equipment from the tunnel that produced some heat, which could help with the defrosting, and also installed pumps in the vault itself in a case of a future flood. Aschim noted that there was no option but to find solutions to ensure the enduring safety of the vault. She said they need to find solutions, as it is a big responsibility and they take it very seriously. She added that they are doing it for the world.